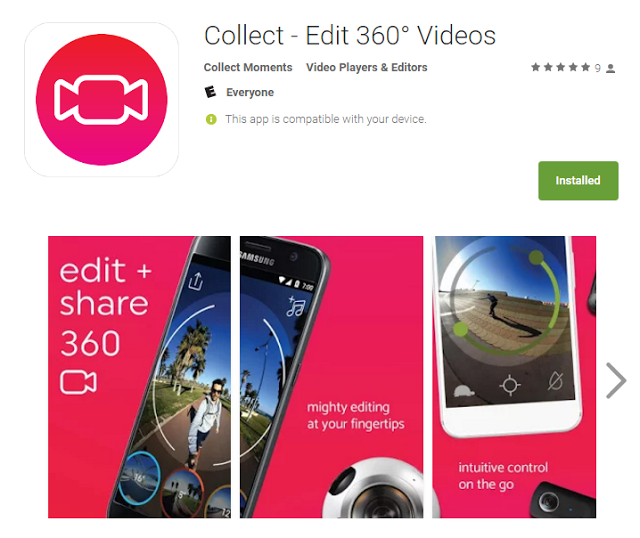 Collect is a new 360 video editor for smartphones (Android; iOS TBA) that enables you to combine 360 videos and add effects. – no limit on maximum length of the video (other than your phone’s available storage). I tried Collect and it is as easy to use as shown in the video. However, please note the watermark feature hasn’t been implemented yet. You can however remove the default watermark. The watermark options are under the Settings (gear icon) when you start the app. 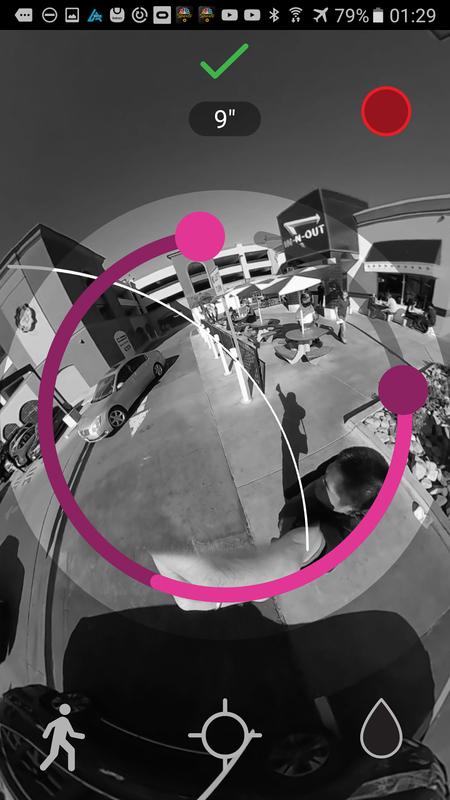 You can trim each video clip using the circular slider. Shown with black and white filter. After editing, I tried uploading to YouTube and Facebook. The videos were recognized as 360 automatically (please allow processing time by YouTube or Facebook). I also didn’t notice any deterioration in video quality compared to uploading directly without editing. Collect is currently free because it’s in beta, but they’ve promised that it will remain free for all beta users even when the app is finalized. I definitely recommend downloading this very useful app. You can download it for Android from the Google Play store here. An iOS version is in the works. You can join the alpha testing list for the iOS version by going to the official website here. May as well give it a shot. Great result and very easy to use. Worth testing.